What does a fair shot mean to you? In a city as diverse and inclusive as Washington, DC, what does it mean to give more residents a fair shot? For our youngest residents and their families, a fair shot means that we are always looking for new ways to give every infant and toddler a strong, healthy start. That's why, on Monday, we were proud to celebrate three years of Books from Birth. This highly successful program that has distributed nearly 800,000 books to more than 40,000 children is giving more families the tools they need to close the literacy gap. For neighborhoods throughout DC, especially those disproportionately affected by violence, a fair shot means that our approach to building a safer, stronger DC includes not just a focus on law enforcement, but also a focus on expanding opportunity for residents most at risk of perpetuating or falling victim to crime. That's why, last Friday, Attorney General Karl Racine and I announced a $6 million investment in workforce training and violence intervention programs. For immigrants in our community, a fair shot means that we are acting locally to advance and defend DC values. That's why my Administration created the Immigrant Justice Legal Services grant program in 2017 and why, this week, we teamed up with the National Immigration Forum to provide financial support to District residents and DC government employees who are going through the naturalization process. So, what does it mean to give more residents a fair shot? It means different things to different people, and that's why we need to hear from you. These are just a few of the things we've done over the past week to builder a fairer, more equitable Washington, DC. But there's more work to do. Join us at a Budget Engagement Forum later this month, starting with a telephone town hall for seniors on Monday, February 11, to tell us what a fair shot means to you and your family. 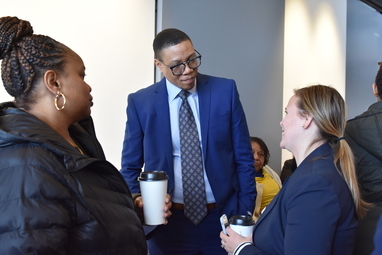 Acting DC Public Schools Chancellor Lewis Ferebee is hosting meet-ups at local businesses and community spots to engage with families and community members. The next "Ferebee Friday" is tomorrow, February 8, at Cheers at the Big Chair in Ward 8 from 4:00-5:30 p.m. Learn more about future meet-ups HERE. 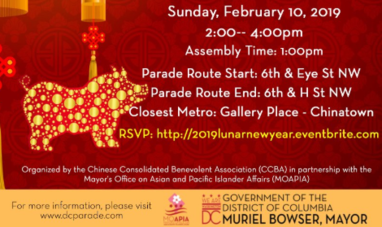 On Sunday, celebrate the Year of the Pig with Mayor Bowser at the 2019 Lunar New Year Parade! The event will feature a traditional lion dance, marching bands, Kung Fu demonstrations, and an exciting firecracker finale. 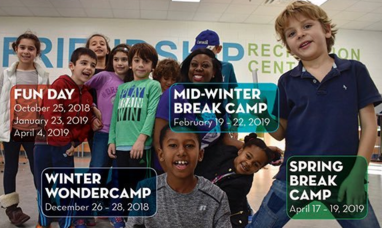 Registration for the DC Department of Parks and Recreation 2019 Mid-Winter Break camp is now open. The camp will be held in conjunction with the DCPS mid-winter break (Tuesday, February 19 through Friday, February 22). The camp is for children ages 6-12 years old and will be held from 9:00 a.m. to 5:00 p.m. at a recreation center near you. 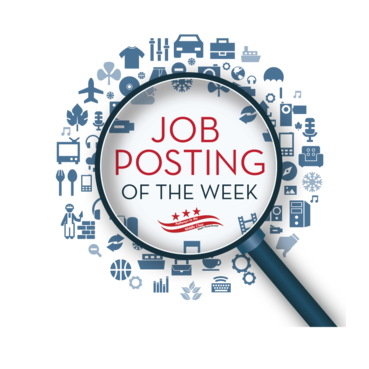 This week’s District Minute features stories about the launch of UDC's Institute of Politics, Policy, and History, the Mayor's $6 million investment in violence prevention and workforce development efforts, and the third anniversary of the Books from Birth program.